Simply stated, he argued that the trout should be targeted using subsurface nymphs to reasonably imitate the insect prior to its emergence. Or, more accurately, that the imitation of the subaquatic or emerging stage could be usefully added to the established practise of offering the trout a copy of the adult winged insect which was, at that time, considered to be the only way to do things properly. In the conservative, cloistered world of chalk stream fly fishermen anything else was an anathema. This may not seem like a hell of a revolution but back in its day, it was. Many years ago I took a group of secondary school students to Ypres, the site of some of the worst carnage of the First World War. They laughed at the grainy photograph of a horse in a tree. It was just comical. They could not feel or hear or imagine the earth-wrenching explosion that catapulted it into the branches. A kid of 13 is never going to understand what it is to hold the body of your mate in your arms, or felt the warmth of his last breath against your face. Or a grown man on his knees crying for his mother – would they have laughed at that too? I don´t know what those poor bastards dreamt about in the hell of the trenches. I´m sure they thought of the home cooked food, or getting drunk and of women they knew or would like to know. Whether they had or had not done so already, they must have dreamt of getting laid. These were not big dreams or big ambitions but, for many they were too big. Or, at least, they would never come to be realised. No doubt these men also dreamt about or, in they endless grind of waiting, imagined an idealised countryside to replace the scarred and battered landscape through which they crawled daily. This might be, for some, the rural idyll of a Constable painting. No doubt streams would have flowed through these oases of hope and in the clear water of these streams trout would rise to inspect the mayflies carried to them. During the years of the First World War Skues, listening to the music of the Itchen, was surely living in the dream of the men in the trenches. He documented his catches during this time and, when he commented on the effects on the fishery during the war years of a shortage of labour to clear out pike and grayling and otherwise manage the fishery to optimise its capacity to produce brown trout, I felt an unexpected stab of anger. In Flanders men on both sides suffered beyond imagination. On the Itchen the trout became a little harder to catch. Perhaps I am being unfair to Skues here. He was, by all accounts, a very approachable and decent fisherman and an acknowledged expert. He was observant, thought logically and argued persuasively. The late John Goddard described him as the “greatest thinking fly fisherman ever to put pen to paper.” Nevertheless, I can´t find it in me to sympathise with his struggles to catch trout at a time of such huge sacrifice in human terms. The famous controversy between the conservative dry fly “purists” and “ultra-purists” and Skues´ new alternative approach continued for years and is itself the subject of a number of books. Things became pretty heated and fishermen felt compelled to side with one camp or the other. Positions became entrenched. Things came to a head on 10 February 1938 when the committee of the Flyfishers Club called a meeting at their headquarters to debate “Nymph Fishing in Chalk Streams.” This passionate and heated debate was described by Luke Jennings in his lovely book “Blood Knots” as “probably the most ferocious in the annals of angling.” Skues was 80 at this time and poor old Halford had been pushing up daisies for more than 20 years. It is hard to imagine for those for whom fly fishermen constitute a harmless bunch that they should have such swarms of bees under their collective bonnets. And these weren´t just a bunch of dummies either. They were well educated, highly literate men. And all of this arguing was happening, as Jennings points out, in the month that the Wehrmacht marched into Austria and the world was about to embark in the most destructive war in history. I think Jennings hits the nail on the head when he suggests that this was not really just a squabble about insects and trout but it was really about other things. It was about traditions and values and how they are challenged, threatened even, by a vulgar new empiricism. It was about relinquishing familiar ways and making way for new. It was about losing old certainties or principles and having to navigate a new, unfamiliar landscape. 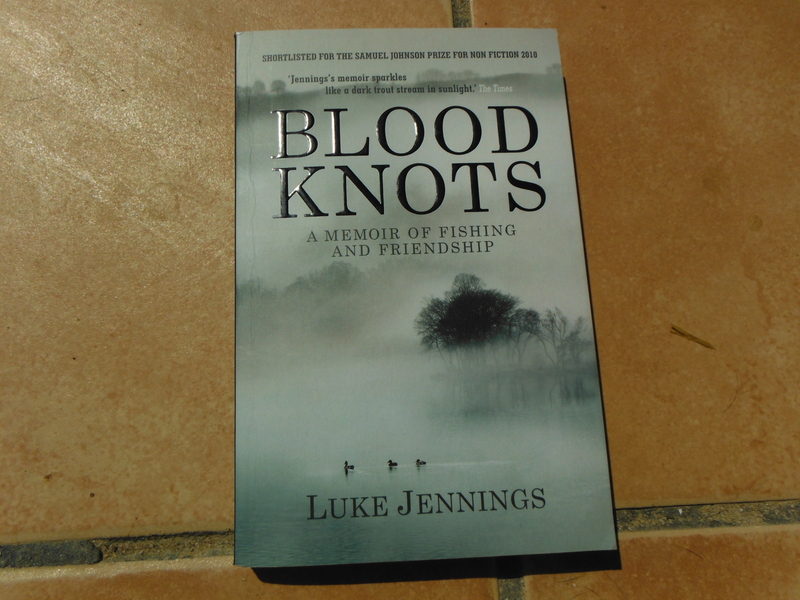 For my money Blood Knots is beautifully written book and like the very best fishing books, it talks about more than fishing. Indeed the account of the famous debate between the dry fly purists and nymph fishermen, even though illuminating in itself, is little more than a diversion from in the main story told in the book. Blood Knots is a memoir and tells an account of the relationship between the author and the man who helped to ignite his passion for fly fishing, Robert Nairac, a man of extraordinary courage who was captured and murdered by the IRA. 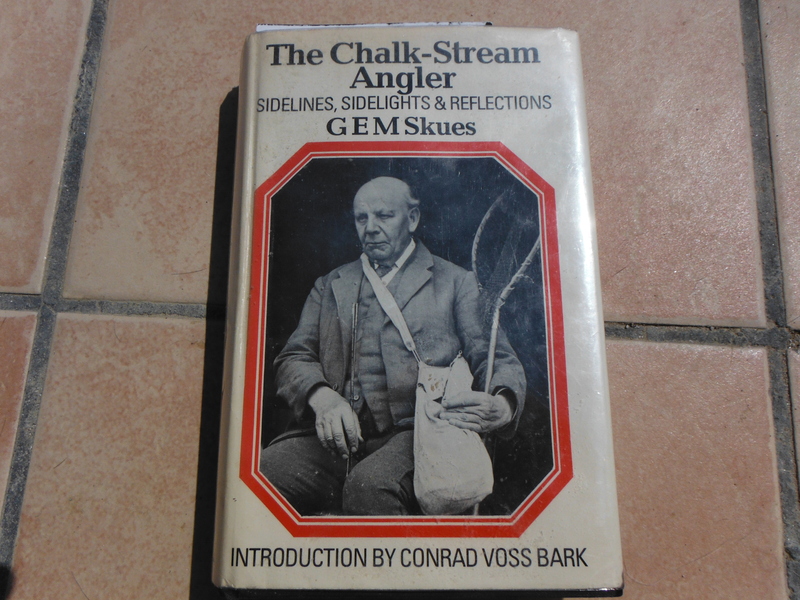 Reading my borrowed copy of Skues got me thinking not, as expected, about his thoughts on fly fishing but on the seemingly trivial, arcane business of fly fishing itself, particularly set against a backdrop of the “real” world of history and conflict and change. 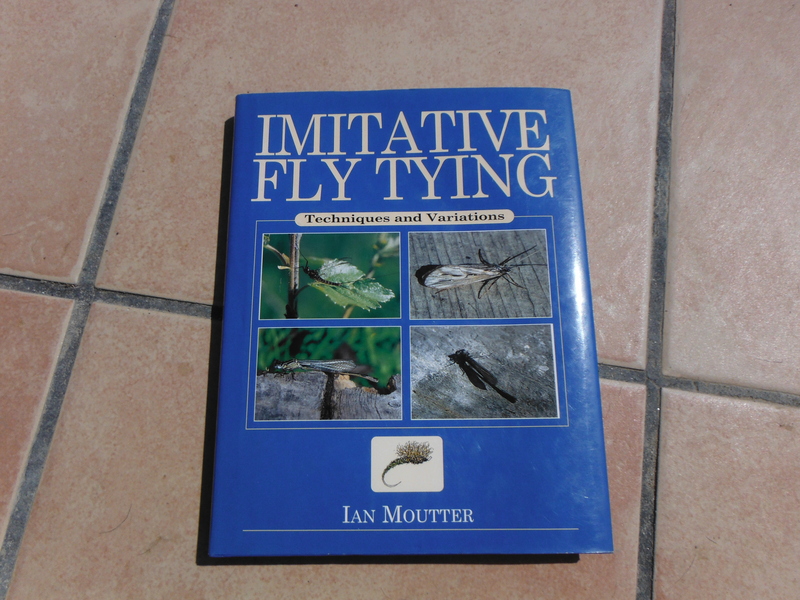 It also brought to mind the dedication in a book called Imitative Fly Tying by Ian Moutter which was kindly given to me by a former student, Bibi Visser. The dedication in this book was clearly written around the time of the terrorist attack on the World Trade Centre. It is hard to imagine what happens in the minds of those who would choose to end their lives, and those of the innocent around them, in a fireball and a plume of smoke. The so-called leader of the terrorist atrocity in New York summed up their attitude in claiming “we value death as much as those in the west value life.” Any sense of irony or of humour must be necessarily expunged from the minds of men who proclaim such things in order to make way for poison and vitriol with which they could surely not coexist. Like Moutter, I simply can not imagine that a person who has spent real time on the water and who has, at least for a little while, fallen into the rhythms of nature, being able to show such a hideous contempt for life. I sometimes laugh my own preoccupation with trivial and “unimportant” things; at the hours spent on the river bank, at the tying vice, or making water colour paintings of trout. I suppose there come a time when you realise that there is little you can do, even if you want to, to change the world for the better. Spending time out on the river, fishing or just walking and looking at the birds or, better still, taking someone else along to do the same thing, may not amount to very much but might just be a step in the right direction.